Around 300 cherry blossoms bloom in the Okazaki area in the spring. In the summer, the running sound of brook waters in the area receding from Lake Biwa in the neighboring prefecture is comforting. In the fall and winter, the Okazaki area makes for a pleasant walking course which is never overrun by crowds as fallen autumn leaves cover the sidewalks. Despite being an area that sees a great deal of Japanese school students on field trips and tourists from overseas, the shops located throughout the area are by no means touristy. There are numerous shops that the locals find pleasant and enjoy visiting regularly. One of the reasons for the pleasantness is undoubtedly the landscape that varies with the seasons, shaped by the surrounding trees and streams. Since there has been a flurry of restaurants opened by shop owners with refined senses, the area has become a hot topic even among locals in recent years. There are quite a few dishes in Japan that seem to get tastier and tastier the colder the weather gets. 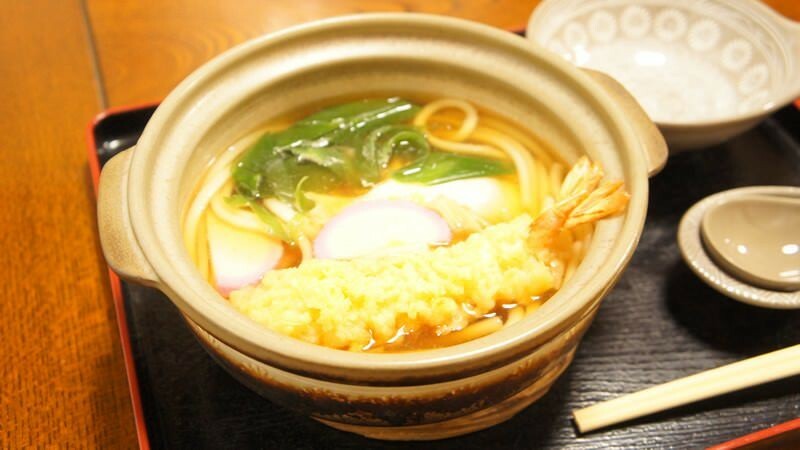 Curry-udon, which fuses together udon noodles and curry, is one of those dishes and is beloved by Japanese people. We recommend the popular curry-udon shop Hinode-Udon where you can smell the pleasant aroma of the curry and soup broth just standing in front of the shop. Winter in Kyoto is marked by a cold that chills you from the feet up, so don’t hesitate to eat some curry-udon and warm yourself up from the inside-out. Introducing the long-standing “Grill Kodakara”, which has boasted a steady popularity since its opening in 1961 even among the numerous Western cuisine shops in Kyoto. The restaurant is packed with local regulars on weekdays and tourists from around the countries on weekends and holidays who have caught word of Grill Kodakara’s reputation. 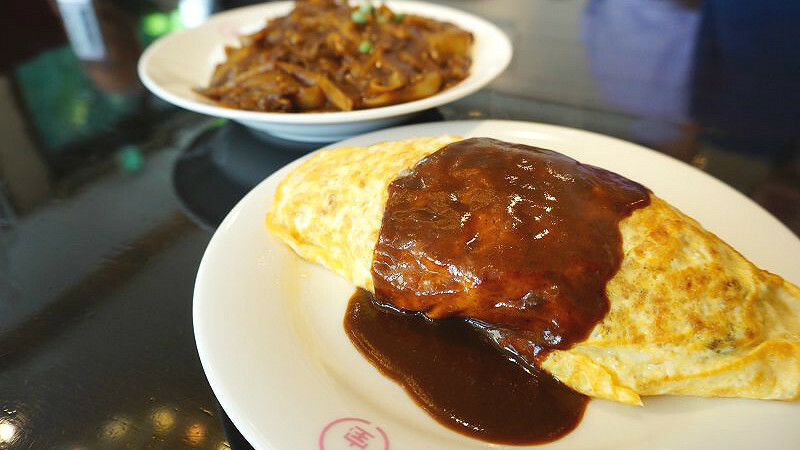 The shop’s homemade sauce which takes two weeks to complete is used in a variety of dishes including omelettes with rice, hamburger steaks, and hayashi rice, giving a rich taste to each dish. The Western menu at “Grill Kodakara” is just the thing when it comes to eating in this area that exudes an artistic, modern atmosphere. 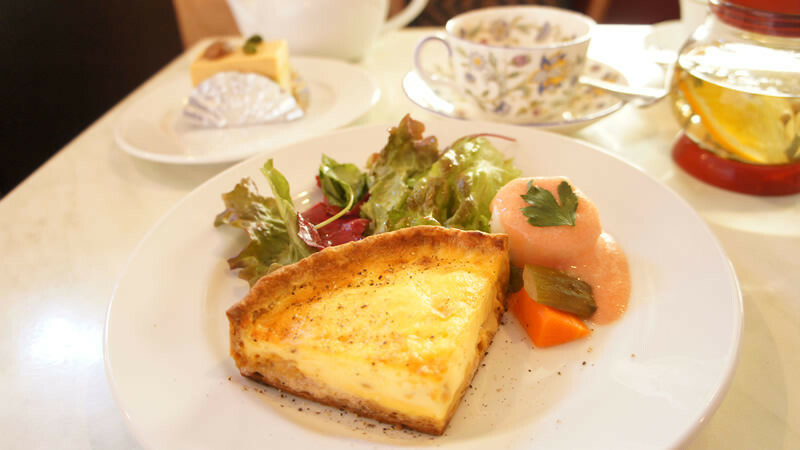 One of the three authentic French restaurants in Kyoto operated by the Bellecour Group is located here in Okazaki. “Au Temps Perdu” is a cafe with pleasant terrace seating overlooking a small stream, and it serves French deli items and pastries. Why not take a timeout in luxury at a shop like this if you are feeling tired from the walking? On idyllic spring days, make sure not to lose track of time and miss the opening of the art museums as you enjoy tea time (or wine) while gazing out on the cherry blossoms and lush greenery on the other side of the stream. In Kyoto, there are actually wonderful antique shops that carry nice, affordable products. 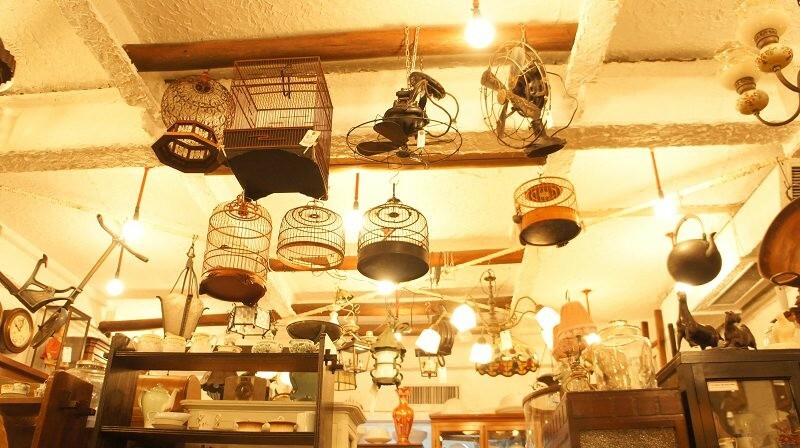 Among them, the Blue Parrot is the shop that can be considered the forerunner of Kyoto antique shops. The antique goods, furniture, and furnishings lined and stacked up wall-to-wall inside of the shop (some of the products even protrude outside) are antiques purchased as the owner has traveled about both at home and abroad. It is fun just to look around at the Blue Parrot, and we hope that fate destines you to come across some marvelous, one-of-a-kind item here on your visit to Kyoto.